Home / Profiles / Joan Palmantier Gentles, O.B.C. Leader and educator, Joan Gentles has made a significant contribution through many different roles over the course of her career, including rodeo judge. Well-known in the Cariboo-Chilcotin Coast communities, Gentles has a deep and meaningful impact on the lives of many of the region’s residents. A member of the Toosey Band, Gentles was the first Aboriginal courtworker in the Williams Lake area. She played an instrumental role in sensitizing the courts, lawyers, and law enforcement officials to justice issues among Aboriginal people. 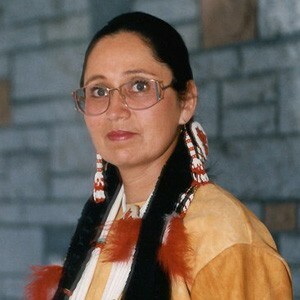 She went on to earn a Bachelor of Education from the Indigenous Teacher Education Program (NITEP) at the University of British Columbia in 1980, after which she became Aboriginal education coordinator of the Cariboo-Chilcotin School District. In 1994, Gentles advanced to director of instruction for the First Nations department of the school board. Working in remote areas, her career as an educator also included counselling for victims of family violence or sexual abuse and delivering workshops on alcohol abuse awareness. Outside of the classroom, she taught ceremonial dancing and shared parenting skills with teenagers and adults. A member of a distinguished Cariboo rodeo family, Gentles actively competed in rodeos, and was the first certified female rodeo judge in British Columbia. In 1992, she was appointed to the Order of BC for her community contributions. For her long-standing service to Aboriginal communities, Gentles received a special tribute at the International Women’s Day dinner at Thompson Rivers University in 2012. She was also named Williams Lake Citizen of the Year and received a BC Rodeo Lifetime Achievement Award.